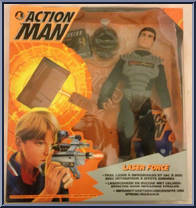 Comes with missile launching rifle. 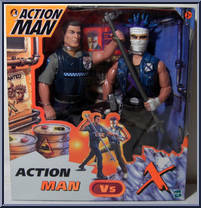 I think this may be a transitional Action Man - between the vintage military Action Man and the newer politically-correct Action Man (with no military associations). 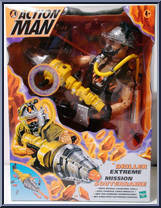 . .
(with Flowing "Toxic" Gut) Contents: Figure, missile launcher, ice missile, body armor, pants, boots, eye patch, shirt and mission card. 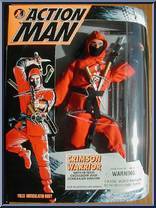 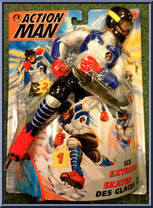 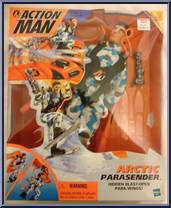 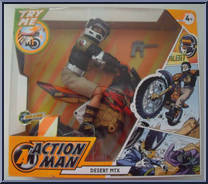 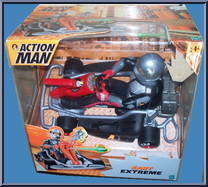 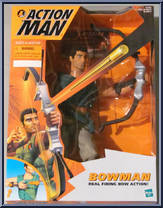 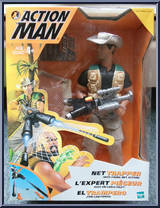 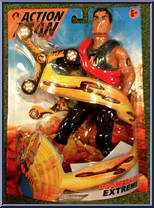 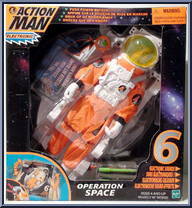 The evil Dr. X is the arch rival of Action Man. 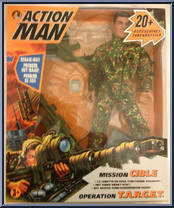 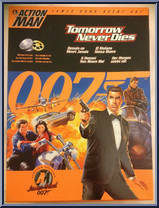 O. . .
Mission Cible / Operation T.A.R.G.E.T.